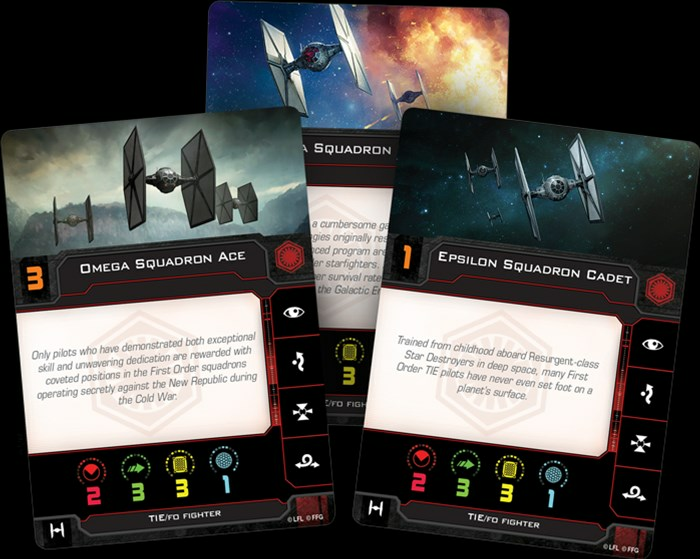 In the new edition of X-Wing from Fantasy Flight, the Resistance and the First Order are both their own factions, leaving the Rebels and the Imperials, respectively (and we hope respectfully. No need to be rude about it). That means that there's new options open and removed for each faction in terms of fighters. For the First Order, they still rely on a ship that's gone through many iterations, but was the iconic fighter of the Empire for a reason. Check out the TIE/fo and see how it's changed from older versions. It is a new era in the Star Wars galaxy. Emerging from the far corners of space, the First Order is on a campaign of conquest, threatening to destroy everything that has been built in the wake of the Empire’s collapse. Leading the charge is a familiar starfighter. Once emblematic of the Empire, the TIE fighter design has been adopted by the First Order in its bid to retake the galaxy from the New Republic. This new breed of TIE fighter may share a resemblance to old Imperial fighters, but it features a number of improvements that give it an identity all its own. The TIE/fo fighter continues to help define the First Order as it becomes a separate faction in the intense dogfights of X-Wing™! In addition to the TIE/fo Fighter Expansion Pack, you can also bring multiple TIE/fo fighters to the table with the First Order Conversion Kit. This kit contains twenty-six TIE/fo fighter ship cards—including all nine unique pilots found in the TIE/fo Fighter Expansion Pack—as well as seven TIE/fo fighter maneuver dials that can be combined with miniatures from first edition expansions to fill out your squadron. 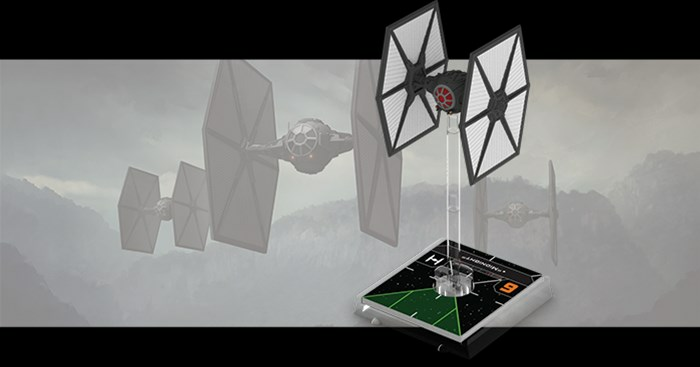 Read on for a look at what this new generation of TIE fighter can do!